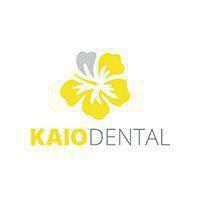 At Kaio Dental, Dr. Tram provides patients in and around Rancho Cucamonga, CA, with the most comfortable, most durable, and most natural-looking restorations, including single-visit porcelain crowns and onlays so patients can have even complex restorations completed in just one office visit. What does “single visit” restoration mean? “Single visit” restoration means your crown, onlay or other restoration will be made during your office visit so you can have the restoration placed in your mouth without having to wait for a lab to fabricate it. Single visit restorations can be completed in dentist's offices that are equipped with the latest, state-of-the-art equipment and technology to design and create restorations right on site for crowns and onlays that are just as durable and natural-looking as those that come from a dental lab, but because they're made in the dentist office, they can be less costly. An onlay is a porcelain ceramic restoration that's used to correct large areas of decay. Onlays are custom-fit to your tooth, and they're custom-tinted so they look completely natural. Typically, an onlay is used in teeth that require significant restoration, but there isn't enough damage to warrant a crown. What's the difference between an onlay and a crown? An onlay covers the top surface of a tooth and may extend down the side of the tooth. A crown surrounds the entire tooth – the top and the sides – and slides over the tooth to serve as a protective covering and to add strength to the tooth's entire structure. Crowns are used to repair and rebuild a tooth following extensive decay or trauma, and they're also used following a root canal and during bridge placement to add strength. They can also be used to hide teeth that have become deeply discolored. How is a crown placed on a tooth? First, a small amount of surface material is removed from the tooth so there's room for the crown. Digital measurements are taken of your tooth and the crown is fabricated in our office and tinted to match your teeth. Then, it's applied using very strong adhesives.